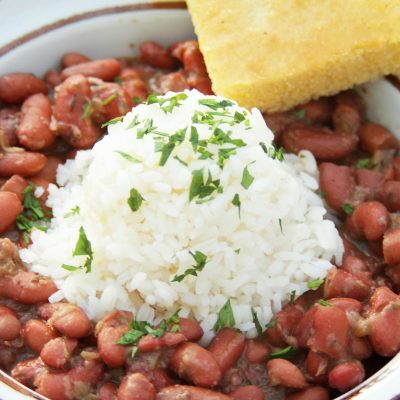 Louisiana-style red kidney beans are typically cooked down in water or chicken or vegetable broth with sautéed onions, bell pepper, and celery (also known as “the Holy Trinity”) and garlic. The cooking liquid is further flavored with herbs and spices that may include any combination of bay leaves, parsley, thyme, rosemary, basil, oregano, and cayenne and/or black peppers. 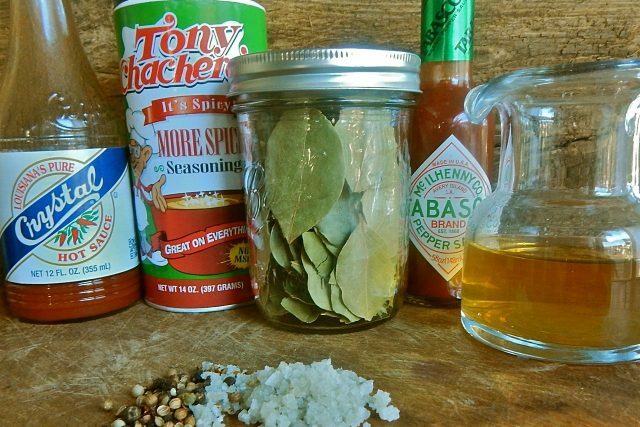 Leftover or inexpensive cuts of meat, such as smoked ham, pickled pork, sausage or wild game, are often simmered with the beans to impart specific flavors. “Heat” spices are usually kept relatively tame, allowing the diner to personalize his or her serving to taste with condiments offered at the table. Once that plate of red beans hits the table, it’s anything goes. 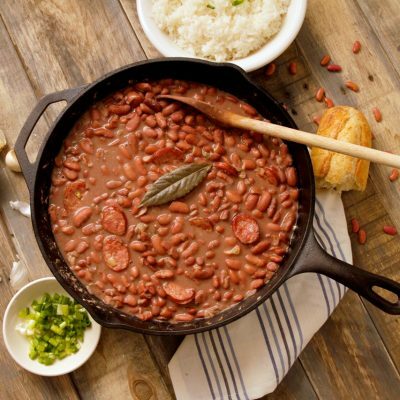 If you put red beans and rice in front of three different people from three different Louisiana families, you’ll see at least three different ways to dress up those beans before they take a bite. Common tableside additions to the red beans and rice dish include hot pepper sauce, sliced green onions, chow-chow (a mustard and pickle relish), a big dollop of butter, ketchup, mayonnaise, pickled white onions, olive oil, and vinegar.